The World or Bust: ¡Qué mesero! Nuestro mesero preferido del 1996. Ni sé su nombre, pero me parecía súper genial. 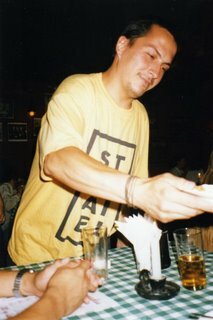 Our favorite waiter from 1996. I don't even know his name, but I always thought he was pretty cool.